Our brochure is finally complete. 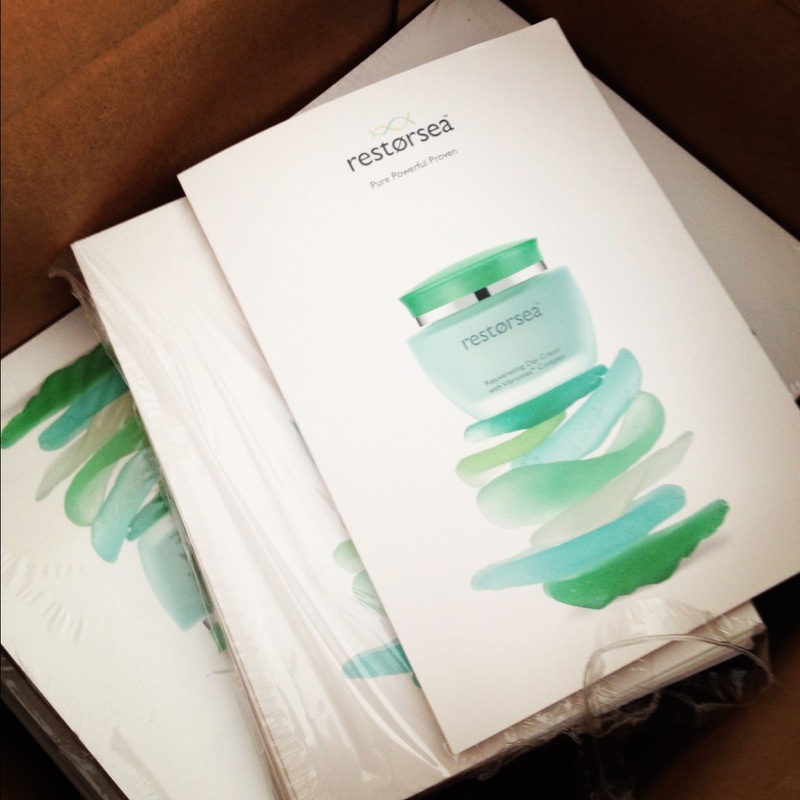 These brochures — which underscore Restorsea's story, efficacy, power, and aesthetic — will be included with full-sized samples we distribute at various events (e.g. International Lion of Judah Breakfast, Harvard Business School Reunion section dinners) and in our Key Opinion Leader mailing, which will go out the week of September 4.